I’ve found one of the challenges of being a yoga teacher is making sure I still have a consistent practice that is constantly learning/growing outside of what I’m instructing. 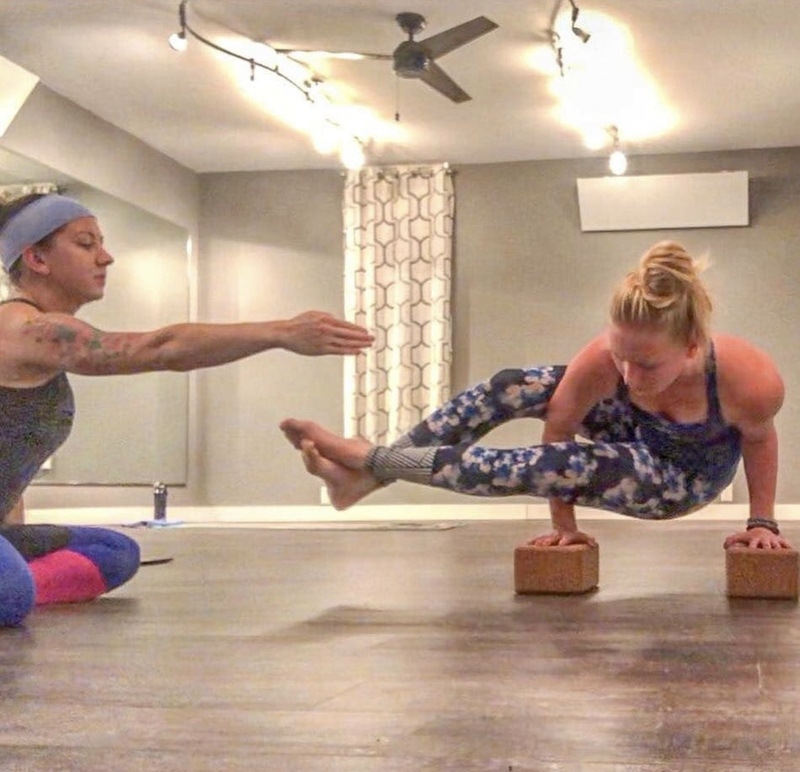 My favorite weekly treat to myself happens every Monday night from 6:30-7:30pm with Kela when I practice with my fellow yogis during our Mid-level class! I can’t say enough good things about how amazing it is to work with people who you can learn from & grow with- and that’s what happens at the studio! Its not uncommon to see our Backwards teachers geeking out over yoga poses between classes- which is something I didn’t think a lot of until I captured these moments on video. The Mid-level class on this particular Monday was working on Eight-Angle pose (one of my favorites) and I was videoing after class to try and capture a good screenshot for a social media challenge. This arm balance is challenging for me & making progress isn’t always possible without other eyes helping you from other angles. While watching the video back I so naturally could see my dear friends/fellow teachers chiming in to answer all my questions & help me problem-solve what I had been feeling within the pose that was holding me back. The teamwork of teachers we have is incredible, and I truly believe it provides the best possible learning experience for our students! Whenever life gets busy & I know my practice hasn’t been as frequent, I can see that directly reflected in my teaching. That’s around the time I hop on MindBody to get my next class scheduled & see what workshops are coming up on the website. We’re all still learning & there’s ALWAYS more to know- that’s the beauty (and challenge) of yoga!